Since June I have been volunteering twice a week with a group called EduFun. EduFun is a non-profit organization staffed entirely by volunteers with the main objective of helping the third grade students and some of the fourth grade students at the Diepsloot Combined School to become proficient in reading and writing English. EduFun was established in 2003 at the request of the then principal of Diepsloot Combined School. I became interested in Diepsloot, you will remember, when I drove our cleaning lady to her home there one day. While I had seen townships in passing, I will never forget being in the middle of Diepsloot. The crowds, the garbage, the shacks, the shops - Diepsloot is sensory overload. After that I was obsessed with Diepsloot and I wanted to figure out a way to get involved with that community. I am just as surprised as anyone that I chose kids and education as my volunteer focus. I am not one of those people who is enamored with children. I am not automatically fascinated by someone just because they are younger and smaller than I am. Also, I never particularly loved school or classrooms. Even recently when I took a photography class, a class that I wanted to take, I felt a little trapped sitting in the classroom. It was a little unnerving to realize I had to sit there until the class was over and try to pay attention the whole time. But helping out in the school seems like the way to have the greatest impact for Diepsloot. If these kids can grow up and be completely literate in English, they will certainly have a chance at a better future. Plus I can read and write English (just don't ask me to diagram a sentence) so it seemed a good use of my skills. 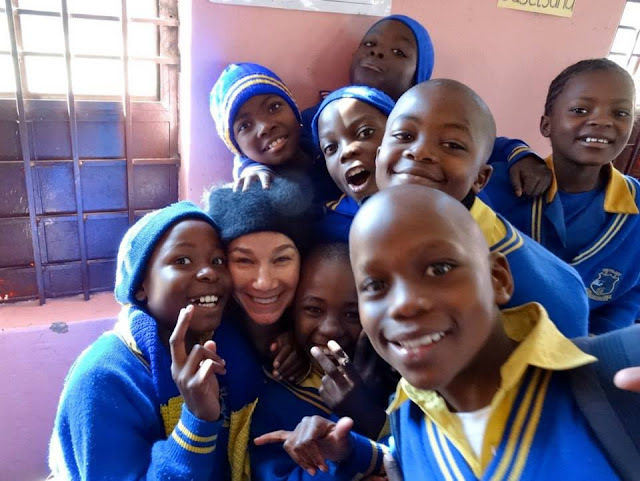 All of the students at the Diepsloot school can speak and understand English when spoken to, but English is their second language as they likely speak Northern Sotho, Zulu or another African language as their first. While they can speak English, they definitely need help with their reading, reading comprehension, spelling and writing. We all know English is a complicated language. Working with the kids I realize just how complicated it is. The other day one of the kids read the word knee as can-nee. The kids at the Diepsloot Combined School don't have it easy. Some come from homes with no plumbing or electricity and about half of the adults in Diepsloot are unemployed. The kids get free breakfast and lunch at school each day and also are given uniforms. 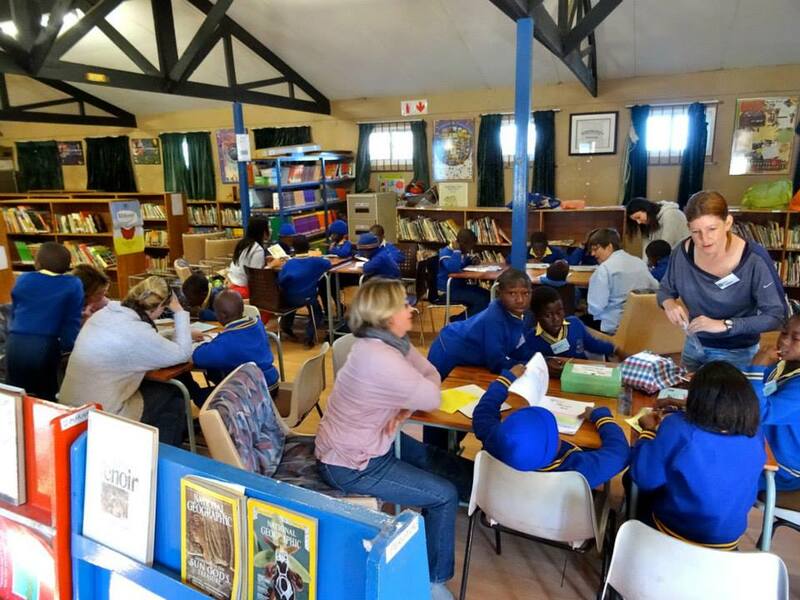 There are over 1600 students at the Diepsloot Combined School and the average number of students in a classroom is 53. We hear a lot throughout our lives about classroom size and now I know why. I don't know how any teacher can manage 30 kids at one time let alone 50 something. It must be an impossible task to effectively teach that many kids. The advanced ones get bored and the struggling ones fall through the cracks. It would take a special kind of kid to successfully learn in this difficult environment. On Friday afternoon, Avril, the co-founder of EduFun, emails the grade three lesson plan for the following Monday to all of the volunteers. The lesson plan involves working with a small group of kids on something specific, for example words that contain the letters W and Z. The lesson plans are meant to be engaging for the kids, with activities like word find puzzles, putting a group of words into the right order so that they become a sentence, doing worksheets to practice spelling and memory games with cards like the game concentration that I used to play when I was a kid. 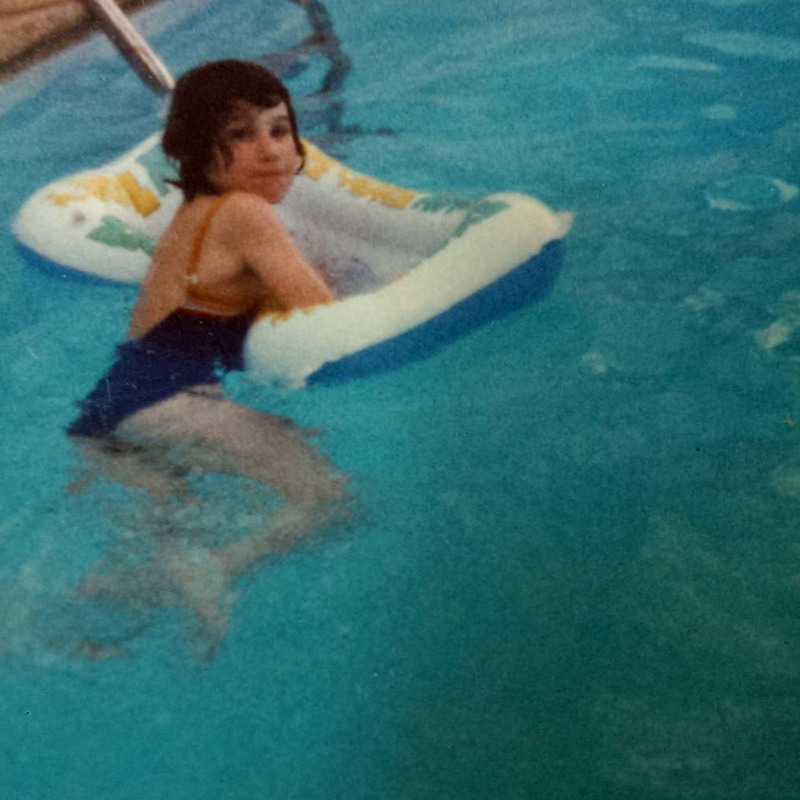 A little girl from grade three. I can't remember her name but she is a very good student. On Monday mornings, the volunteers helping with grade three meet in the parking lot of a shopping center and carpool to the school. 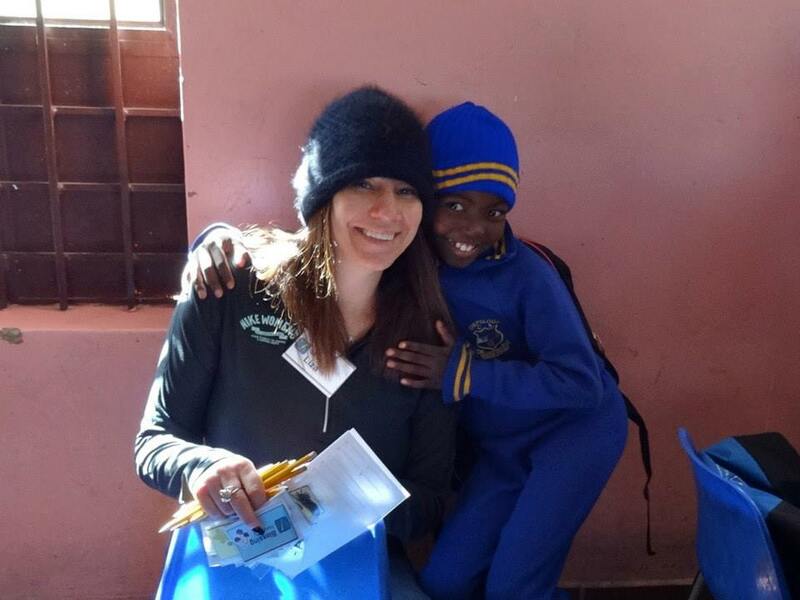 There are volunteers from all over the world who live here in Joburg and come to help. I've met volunteers from the U.S., Canada, Australia, Britain, Netherlands, Japan, Scotland, Uganda and of course South Africa. The kids at the Diepsloot school are not only practicing their English when they work with us but they are also hearing a lot of different accents. When we arrive at school, the volunteers break up into smaller groups and visit the three third grade classrooms. From there the students in each classroom noisily move their desks and chairs around and break into smaller groups throughout the classroom. When they pick up their metal chairs to move them it is important to be careful or you could lose an eye! Depending on the number of volunteers that day, each volunteer works with about eight to ten kids and conducts the lesson. Eight to ten third grade kids is still a lot. Usually three are working hard to do the lesson, two are busy goofing off and poking each other with their pencils, two are staring off into space and one just wants to hug the volunteer and touch a white person's hair. It is not easy to find a way to keep all of the kids focused on what they are supposed to be doing. You have to glare, encourage, congratulate and high five, yell, call on the ones who are spacing out, get the smarter ones to help the weaker ones and more just to get them to pay attention...and it doesn't always work. After this experience professional teachers have my utmost respect. Tuesdays, we work with a select group of 20 grade four students. These lessons are a lot less chaotic as the kids come to the library where it is quieter and easier to keep their attention. Also on Tuesdays, each volunteer only works with five kids, which is a lot more manageable. Avril told me that they'd like to assist more grade four students but there just aren't enough volunteers to do so. She said that in working with grade four, they try to choose the 20 students who can read but are who are struggling or could use improvement. I am sure it is a hard choice to make because most of the students could probably benefit from extra help, but in Diepsloot resources are always limited. The grade four kids need to practice reading so in the small groups each student takes a turn reading aloud and we pause during the story to ask them questions and make sure they understand what they are reading. Then, we do some kind of activity based on the book we read such as a puppet show, art project, worksheet or game. The EduFun volunteers bring the pencils, the notebooks, reading books and other supplies in with them to conduct the lessons. The supplies are then brought out when we leave so that they can be safeguarded against theft. There will certainly be more blog posts to come about the kids and EduFun. Here are some photos of the school and the students. With students from grade three. It's not that they love me so much, they just want to be in the picture. Grade four students practicing reading in the library. Much of the materials for the library was donated by a Rotary club in the U.K. This is Kagiso. He is in grade four and has a great smile. He used to be shy about reading aloud but now volunteers to do so. The school has some modular classrooms and some brick buildings. After we read a story about a flowering tree, we made these flowers, leaves and birds out of paper. For weeks the boy on the left would not read or participate but then this week he read and participated. I would like to think it's due to my great teaching ability but I think it's just that he got a good night sleep. Thank you for reading this blog. If you'd like to subscribe to receive the posts delivered to your email box, please click here and enter your email address where it says follow by email. You will then receive an email from Feedburner that contains a link you must click on to confirm the subscription. Thanks! Thank you! I'm sorry for the delayed reply but my internet didn't work all day yesterday and now it seems that the EduFun website is down. It would be wonderful if you could could add contact details to your volunteering blog post. I will send you some details shortly. Thanks again! This is just terrific! What a great service you and the other volunteers are providing. Cute kids! Words that start with two consonants would definitely trip an African kid up. Many African words are pronounced by sounding the first letter before continuing with the rest of it. In some ways I think all languages can be hard for people that don't speak them.